After making a MAZE ,my students felt immense satisfaction and excitement to play it. 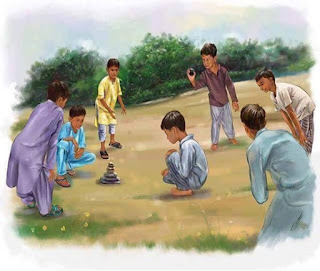 They started playing it with a ball making its way around the Maze, feeling delighted at every hole and every stop. Now he is excited to start his game of maze with an Egg. they all are delighted to have their turns with a ball or egg through the maze.